It’s a great pleasure to introduce you to some KC friends who really need no introduction at all. The Los Angeles Dodgers Foundation has been a long time friend of our team for several years. We admire the work that they do and value the example they set for doing exceptional work in the LA area. So it is a DREAM to partner with them in an official capacity this season. The LADF was established in 1995 as the official charity of the Dodgers. Their work is focused on impacting underserved youth in some of the most challenging neighborhoods in LA. Now doesn’t that sound like the perfect fit for Kershaw’s Challenge? Their pillars include: Education & Literacy, Sports & Recreation, Health & Wellness. 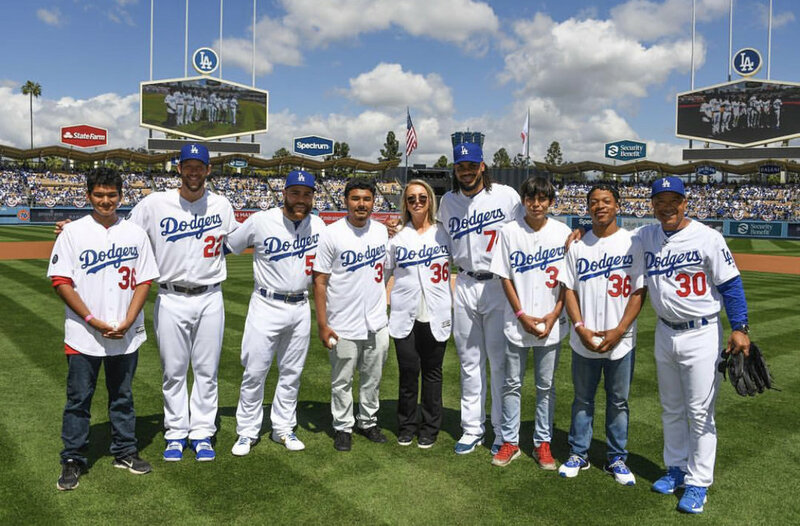 One of their signature programs is the Dodgers Dreamfields—building and refurbishing baseball and softball fields in these underserved neighborhoods. The LADF has committed to building 75 total fields by the 75th anniversary of the Dodgers in 2033. We are THRILLED to help them reach this goal by contributing to two new fields in Gonzalez Park in Compton. Kershaw’s Challenge will proudly be the lead partner in completing these two fields. Partnering with the LADF feels like working with family. We love their team and what they stand for. We love that they share our heart to make a lasting difference in the city that has meant so much to us. And a real perk: they happen to love Dodger baseball just as much as we do! So dig in with us! Get to know our friends at the Los Angeles Dodgers Foundation. It is truly an honor to make their work known.